Team Skurnik is excited to finally have some snow on the ground, if only because we now have a proper excuse to dive into warming winter cocktails. 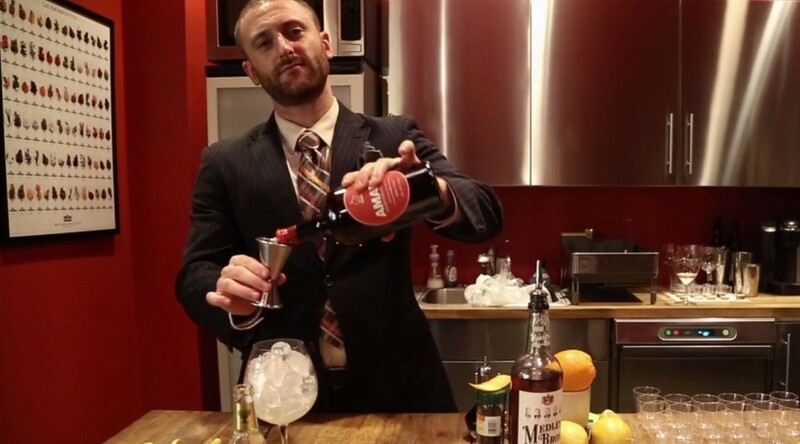 Adam Schuman, our Spirits Portfolio Manager, recently filmed a video at Manhattan store 24 Hubert to share some of his favorite cool weather libations. Watch the video to learn how to make these winter cocktails, and then try them at home! 24 Hubert Wines Presents Winter Cocktails from Stephan Werk Photography on Vimeo. Build over ice and stir. Garnish with blood orange peel.